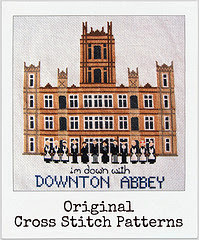 This week's pick for the Friday Featured Fabric is a pre-cut kit from Moda/United Notions. 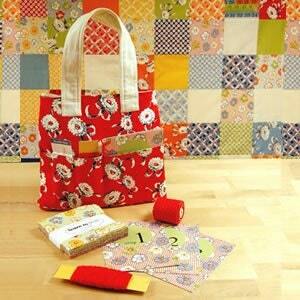 Made especially for those new to sewing with an interest in quilting, I absolutely adore this kit. 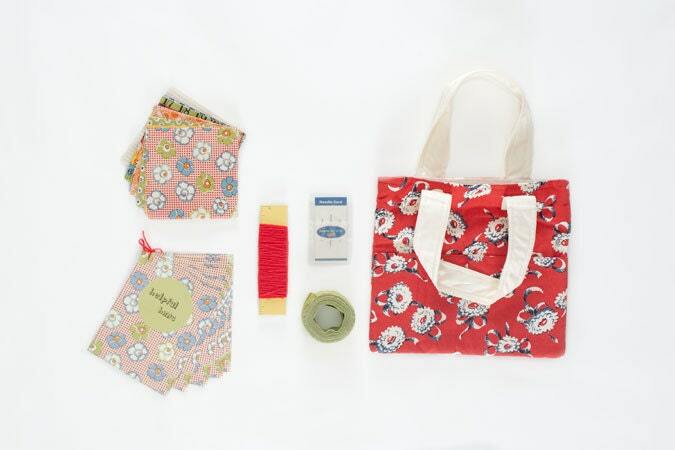 It includes a fun, vintage style charm pack of (52) 5" x 5" printed cottons, coordinating bias tape, yarn, a needle - as well as step by step flash cards! All in an adorable red floral canvas tote (I love bags, so this sold me!). When finished you will have a 36" x 26.5" quilt top! I know, you'll probably want to keep this all to yourself, but it really would make a sweet gift for a daughter or granddaughter...think of the memories to be made; besides a cute patchwork quilt!! Get it here or here.